Antioxidants are naturally occurring chemicals in our food that reduce oxidative stress in our bodies and help prevent cellular damage. They help the body prevent disease and age gracefully. When it comes to actual antioxidant content, matcha green tea cannot be beat. The ORAC value (oxygen radical absorbance capacity) measures the amount of antioxidants per serving of a given food. Based on the ORAC rating system, matcha green tea has the highest antioxidant rating of any other food. 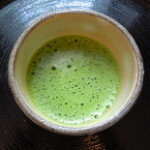 One cup of matcha has 10 times the antioxidants of a cup of regular green tea. 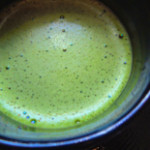 Matcha green tea contains many different types of antioxidants. There is a unique set of antioxidants known as catechins that aren’t regularly found in other foods. Matcha contains an abundant amount of the catechin, EGCg (epigallocatechin gallate), which is proven to provide potent cancer-fighting properties. University studies show it slows the growth of deadly cancer cells, and can even help prevent them from forming in the first place. A study conducted at the University of Colorado confirmed that drinking one cup of matcha green tea has 137 times the amount of EGCg compared to a conventional cup of green tea. Free radicals are a result of UV rays, chemicals, and radiation, and can result in cellular and DNA damage that is hard to reverse. EGCg and other catechins found in matcha green tea also fight free radicals throughout your body. Matcha green tea is used in Japan to help with meditation practices. During long hours of sitting and intense meditation, Zen Buddhist monks would drink matcha to remain alert and focused, yet calm and relaxed. Matcha green tea is rich in L-Theanine, a rare amino acid that effects the brain’s functioning to promote a state of well-being, alertness, and relaxation. L-Theanine is common in all tea, but matcha green tea has 5 times more than any other black or green tea. L-Theanine also completely eliminates the unwanted side-effects of caffeine which is a natural component of green tea. L-Theanine is known to extend the energy brought on by small amounts of caffeine, and promote concentration and focus without the nervous energy found in coffee or other energy drinks. L-Theanine also promotes the production of alpha waves in the brain which induces relaxation without being sedating. Each serving of match green tea contains between 30-40mg of caffeine. Even though this is much less than a cup of coffee which contains up to 200mg of caffeine, matcha drinkers experience an extended boost of energy that can last up to 6 hours. 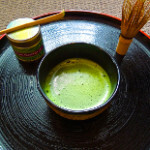 The energy boost received from matcha is largely due to its unique combination of other nutrients. For example, the combination of L-Theanine inhibits the usual side-effects of stimulants such as nervousness and hypertension. 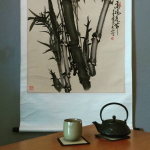 Historians report that Samurai Warriors often drank matcha green tea before entering battle. They enjoyed the energy boost and increased physical endurance it provided. A recent Univeristy study determined that drinking matcha green tea can improve your physical endurance by up to 24%. A study in the American Journal of Clinical Nutrition demonstrated that matcha green tea extract has unique thermogenic properties that promote increased fat oxidation. The study found that consuming matcha green tea increased thermogenesis (the rate your body burns calories) from 10% to 40% of daily energy use. In other words, matcha green tea increases your body’s ability to burn fat and calories by 4 times! Another medical study determined that drinking a cup of matcha green tea before physical activity resulted in 25% more fat burning during the activity. Due to its unique weight loss properties, matcha green tea gently boosts your metabolism and burns fat without any negative side-effects to your body. There is no increased blood pressure or increased heart rate. Researchers aren’t entirely certain how matcha green tea has such a positive effect on cholesterol, however studies of different populations have show that people who drink matcha green tea on a regular basis have lower levels of LDL (bad) cholesterol while at the same time displaying higher levels of HDL (good) cholesterol.